Olympics began on Scandinavian soil, for both the Summer and Winter editions of the Olympic Games. 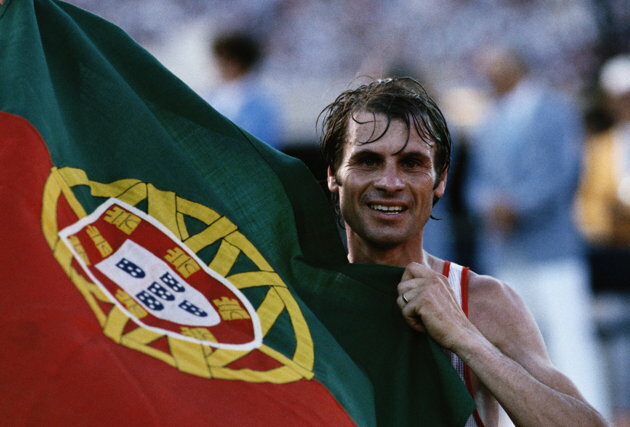 With the creation of the Olympic Committee of Portugal (the Portuguese National Olympic Committee) in 1909, and recognition by the International Olympic Committee in the same year, Portugal was the 13th nation to join the Olympic Movement. Three years later, it made its first appearance at the 1912 Summer Olympics, held in Stockholm, Sweden. Since then, Portugal has participated in every edition of the Games of the Olympiad, summing up a total of 22 presences, which make it the eighteenth most assiduous nation. As of 2008, Portugal has collected a total of 22 Olympic medals (four gold, seven silver, and eleven bronze medals). The Olympic Committee of Portugal will be represented by a delegation of 75 competitors (43 men and 32 women) in 13 sports. Compared with the previous Games, the Portuguese Olympic team is reduced by two athletes and will not participate in three sports: archery, fencing and taekwondo. Notable absences due to injuries include the defending men's triple jump champion Nelson Évora, Olympic medalists Vanessa Fernandes, Francis Obikwelu, and Rui Silva; and long jumper Naide Gomes. Four years ago, 78 Portuguese athletes competed in 17 different sports at the 2008 China Olympic games. Nelson Évora, the Olympic Gold medalist in the triple jump at the Beijing/2008, and the Portuguese great hope for this year London Olympics, will not compete due to a recent tibia fracture. The qualifying Portuguese athletes will compete in athletics, canoeing, cycling, gymnastics, rowing, sailing, shooting, and swimming. Portugal first participated in Olympics in 1912 and till now we have won 21 medals in different events.Click here for a complete list of Portuguese athletes qualified for 2012 Olympics. The London 2012 Olympic Games will be the tenth Olympic Games. London will become the first city to officially host the modern Olympic Games three times, having previously done so in 1908 and in 1948. The London 2012 Olympic Games will be followed by the 2012 Paralympic Games to take place from 29 August to 9 September. A total of 205 nations will take part in 300 events at the Olympic Games in 2012, while 147 nations will take part in the Paralympic Games. You have read this article Olympic Games / Portuguese Athletes with the title Portuguese Athletes in the Olympic Games. You can bookmark this page URL http://catolink4.blogspot.com/2012/07/portuguese-athletes-in-olympic-games.html. Thanks! No comment for "Portuguese Athletes in the Olympic Games"